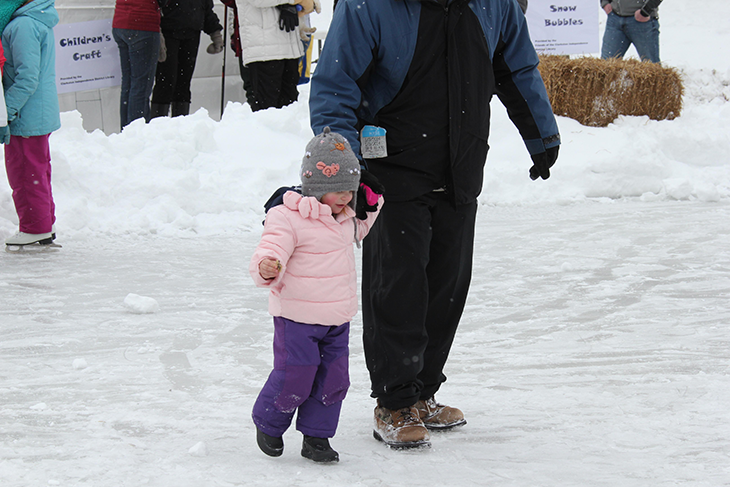 The CCHS recently took part in Clarkston’s first winter festival held in Depot Park on January 18, 2014. Called Shiver By The River, the event was a huge success with over 300 people taking part in the winter fun. Events included ice skating, music, children’s crafts in the warming tent, S’Mores, Chili, Hot Cocoa, snowshoe demonstrations and a ‘make your own dogsled’ relay race that had families working in teams for the grand prize. Even temperatures that dipped into single digits did not keep the crowds at home and it was a wonderful afternoon of family fun. Shiver By The River was sponsored by Positively Clarkston, of which the CCHS is a founding member.